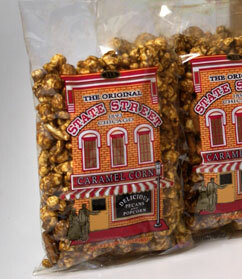 Three six ounce bags of Pecan Caramel Popcorn. The one that started it all! All of our Old Tyme ingredients handcrafted in kettles and mixed with Pecans make this product our number one seller.